Please see the attached photo of the front steps of my building on the corner of Mt. Pleasant and Lamont. This is at least the 3rd time I have seen this in the past few weeks. It’s strange for a few reasons: 1. 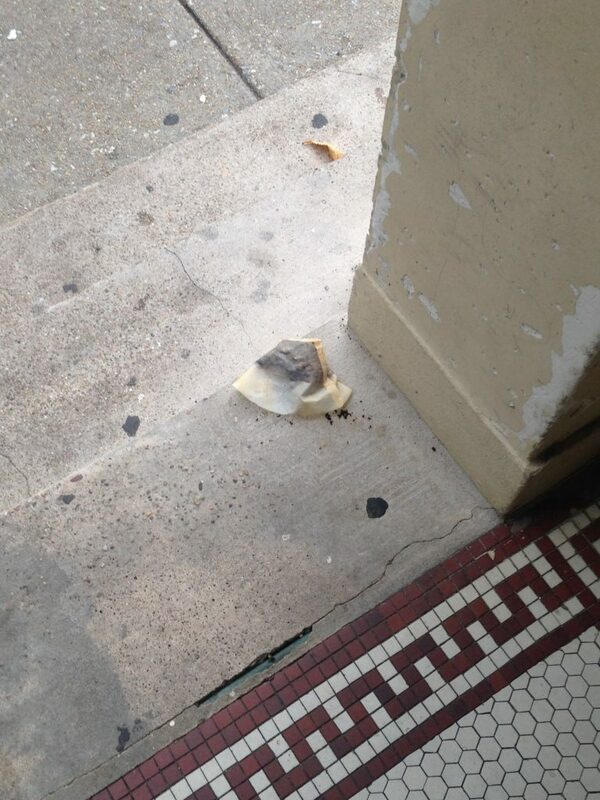 Nobody takes the trash out the front door, so it’s unlikely that this fell out of someone’s trashbag 2. What are the chances that only the used coffee filter always ends up on the top of our stairs? 3. There’s been an increase in the number of stolen deliveries/packages inside the building and this isn’t an issue we’ve had in the past. The Greatest Official Government Tweet of all Time?